Beginning 2017, Vista Higher Learning, a partner of Sigma Delta Pi, will provide a $100 cash award to each of the Honor Chapters with the exception of the Ignacio & Sophie Galbis Awardee, who will receive a $200 cash award. Recipients of these cash awards agree to expend these funds exclusively for activities of the Sigma Delta Pi chapters in question. 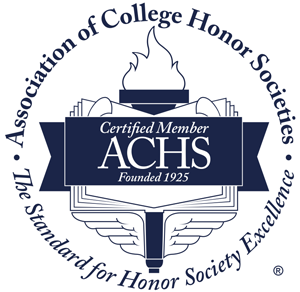 Honor Chapters (Capítulos de Honor y Mérito) are selected each year by the Executive Committee based upon annual reports submitted by the chapters. Awardees are those chapters that have distinguished themselves during the academic year with activities and projects that best reflect the mission of the Society. Honor Chapters receive a certificate along with recognition both on the Society’s national website and in Entre Nosotros.